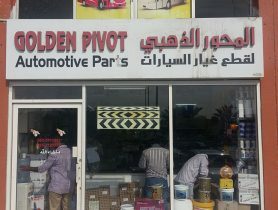 Wheel fix is a premier auto body shop and rim refurbishment service center located in Al Qouz-4. Dubai. We offer a complete range of work from dent removal to valeting services. All of our technicians are fully experienced and trained to the highest industry standards. I got a pretty bad scuff on my gun metal colored alloy wheels and was quite skeptical about Wheelfix guaranteeing that it would be like new once they're done. I dropped the car in the morning and it was ready by the evening. And the rim actually looked brand new! Great customer service, excellent facilities - definitely going back! Absolutely amazing. I too my car out of a complete joke garage approved by AXA and brought to wheelfix. What the insurance quoted to do a complete mess of a repair was more than fixing the bumper and redoing my 4 brake calipers. Highly recommended and very friendly staff. Very good quality rim repair. I've taken 2 different cars there 4 times each for a different rim repair job, some were small damages and some were really big scratches/dents. They made the rim look like brand new again. 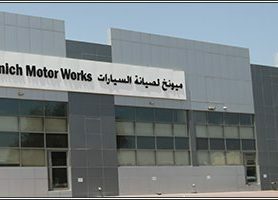 Car Service, Wheelfix, Car Repair Workshop in Al Qouz 4, Car Repair Workshops in Dubai, Dubai Workshps, Car repairs in Dubai, Workhsops near me, Car Service Center in in Al Qouz 4 Dubai, Mechanic Near me, Mechanic in Dubai, Car Body Shop in, Car Repair Workshops.